Tokyo is so damn crowded. There are 10 million people living in Tokyo. So when I go out to dinner over the weekend, I often avoid major popular areas such as Shinjuku and Shibuya unless I have a reservation. I prefer going out to local areas. Less people, no waiting to be seated, more relaxing atmosphere to enjoy the meal and company of friends/family. So where should you go? Today I recommend Shi-mo-ki-ta-za-wa. Shimokitazawa is closed to Shibuya and Shinjuku, a couple of stations away. There are many small live houses and theatres, so many artists and musicians live in Shimokitazawa along with families who reside there for many generations. Mixture of old and new, that makes Shimokitazawa very unique and attractive. Small restaurants with a couple of tables and counter. 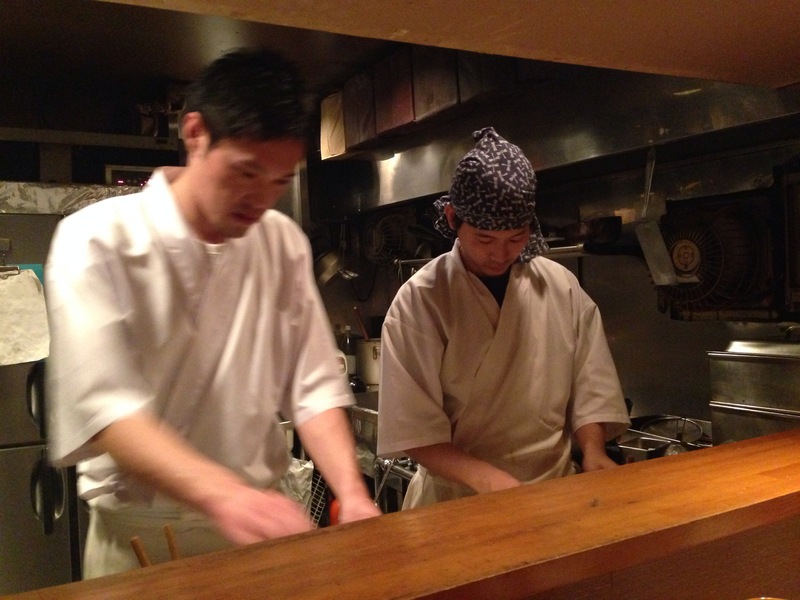 Matsu serves Japanese traditional dishes such as Sa-shi-mi and also Japanese fusion food. 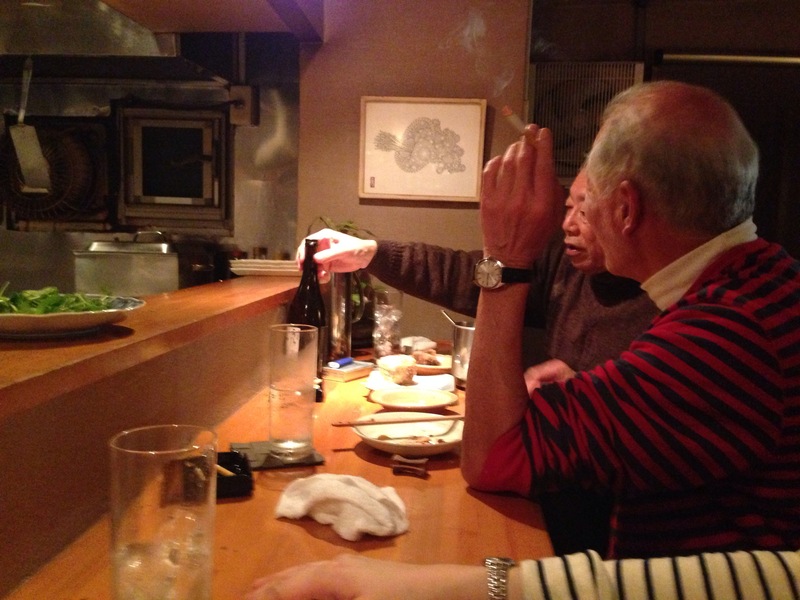 It is a casual restaurant with REAL Japanese dishes. 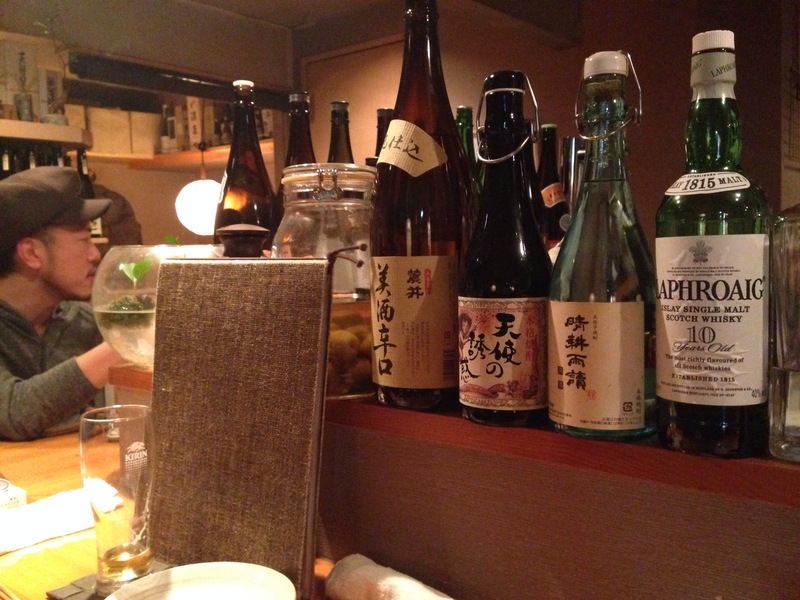 Wide selection of Japanese sake.